We are back with our match review after missing out on Roma-Benevento. The death of a great Roma fan within our family made priority to grief in such difficult time. Dad will be proud and will carry on watching our beloved Roma from the heavens. Like against Benevento, Roma are back to winning ways again mainly thanks to Cengiz Under, a surprise to everyone, all of the sudden under the spotlight. “Cengis Khan” 4 goals in the last 3 games, all beautiful goals, man of the match also in Udine. 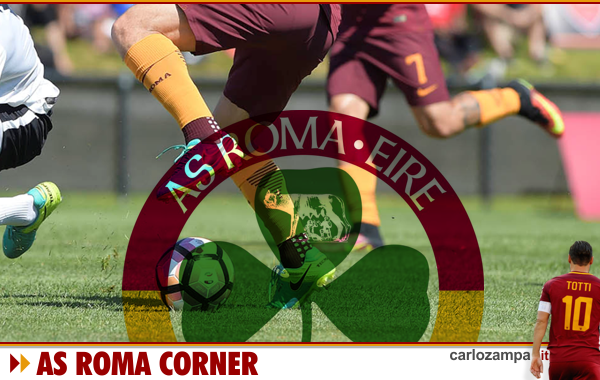 A huge surprise, sublime skills and a lot of confidence showed in recent weeks, this is the secret of a Roma team who is back to winning ways after the recent poor results. Roma are back in contention to clinch a vital spot in the Champions League, holding third place with Inter and Lazio now behind. Di Francesco must continue to play the young turk on the right flank, a position that looks to suits him well. Next Shakthar Donetsk. Champions League, the last 16 tie on Wednesday in the Ukraine. A tough match. They were able to beat Manchester City and Napoli. Roma can only get a positive result if they play a total focused game, show no fear but respect, this is crucial to have a chance to progress to the quarter finals. We are confident. Dad will be watching and supporting the giallorossi from up there, as always Forza Roma! What we expected. A convincing display, a great win. A night to remember, especially for Alessandro Florenzi, what a great comeback for the winger! He was a pleasure to see him back on the pitch with the same intensity, he set up the first goal for Dzeko and was a thorn in the side of Verona throughout of match. Welcome back Ale! Same is to be said about Lorenzo Pellegrini, a great performance by the Italian international who replaced Strotman in midfield. It was also the first time for Cengiz Under from the start in place for Defrel, he showed glimpses he can be a cracking player on the right wing. Patrick Shick entered the field towards the end and although is not fit yet he showed what is capable of. Di Francesco must be delighted to have these players at his disposal. The future is bright. Th game itself was predictable. Hellas Verona are destined to a troubled season, they were just not able to tackle this Roma side. Dzeko scored twice and missed another two or three, Nainggolan the other goalscorer thanks to fantastic team play. The game could have ended with an impressive scoreline. Other positive notes came from El Sharaawy and the backline, this time impeccable. So many changes for this game, the only othe rplayer who did not feature yet was Gonalons, expected to play instead of De Rossi, but he stayed on the bench. Perhaps the frenchman is not ready yet. We will see at Benevento on EWednedday night what the coach will decide. But with Karsdorp on his way back, all players are finally available for picking. So, happy days. Roma are now facing a match every three days until October, including Qarabag in the Champions League. On paper “easy games”. We must capitalise and bag three points for each. Chasing the top of the group in Serie A won’t be easy, especially when teams like Inter continue to bag points very fortunately while underperforming. But we are now there gaining full speed. Daje. Forza Roma.